Wired peripherals are a hassle that should have never even been invented. Okay, that’s a wee bit dramatic– I’ll admit– but the mess of cables all over your desk is just ugh. And when it comes time to get out from behind the desk you can’t even take your wired keyboard or mouse with you! Had Tesla had his way years ago we would have never gone through the era of cluttered cable ridden desks we are currently in, but luckily, we live in an age where we now have options. In fact, there are tons of wireless options on the market, but today we’re going to focus our efforts on finding the best wireless gaming mouse. The Logitech MX Master is not only high on our list for the title of top wireless gaming mouse, it’s arguably the best mouse period. Whether you’re trying to game late into the night or work the day away the MX Master has tons of features to offer. For starters, it has an exceptional rechargeable battery that can hold up to 40 days worth of charge. On top of the impressive capacity, the battery can be charged for a full day’s use in about 4 minutes. The MX Master also sports an interesting layout with a side scrolling thumb wheel on the left next to the forward and backward buttons. 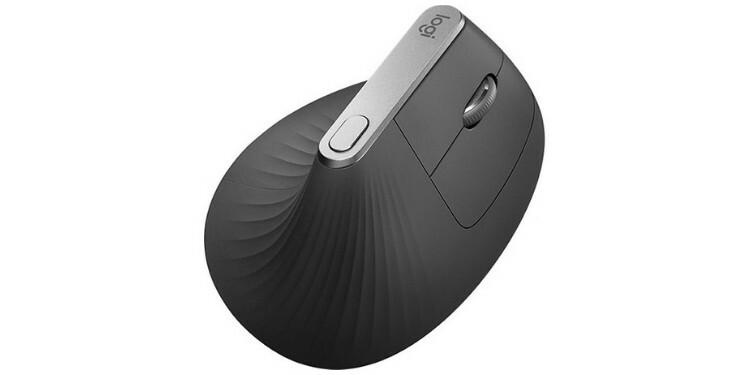 The thumb rest on the left side of the mouse is also a pressure sensitive button that is seamlessly built into the mouse. This button controls gestures by default which is awesome for productivity, but it can be programmed in the Logitech software to perform more gaming relevant tasks. This is also easily the best Bluetooth gaming mouse thanks to its ability to easily connect with and switch between multiple devices. 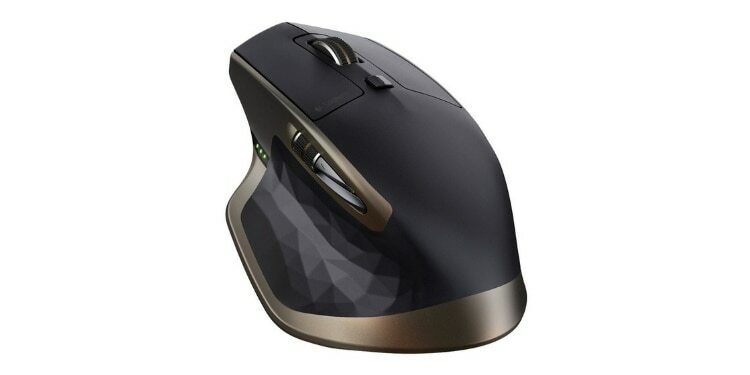 The mouse comes with a 2.4GHz USB dongle but can also be synced with up to three Bluetooth devices at once. You can then switch between these connections easily with a single button at the bottom of the mouse. Logitech has also outfitted the MX Master with one of their awesome adaptive scroll wheels. The scroll wheel can be used normally or be switched to a free spinning mode with a single button. The final thing to note on is this mouse’s sensor. It uses an exceptionally sensitive dark field laser that can easily be used on any surface, even glass. However, the sensor is not as sensitive as some of the other options we’ll be looking at, with a top DPI of only 4000. Razer is a unique company that has expertly crafted a brand for themselves by making high quality gamer oriented gear ranging from backpacks to keyboards and even their own laptops. The products often fetch a premium price tag, but rarely leave the customer wanting for more. This is the case with both of the Razer mice we’ll be checking out today. The first of which is the more plain of the two: the Razer Mamba. Despite being plain looking by Razer’s standards it certainly holds up to the level of quality we expect from them. 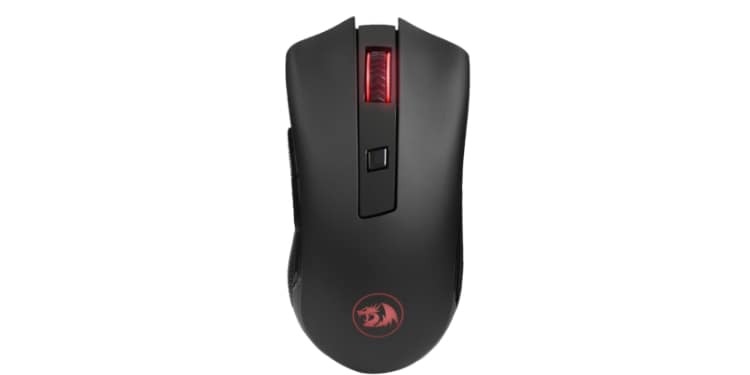 The Mamba boasts the most sensitive and accurate sensor of any of the mice on our list. 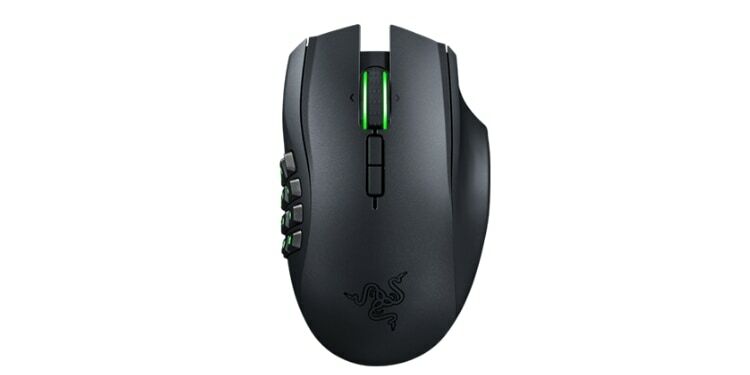 The 5G sensor can run at up to 16000 DPI, but can be configured in Razer’s software to run as low as 200. This incredibly high DPI can come in handy when gaming for quicker turns and more accurate movement, but is also nice to have with higher resolution screens since it can allow the mouse to move more quickly across their denser screen space. 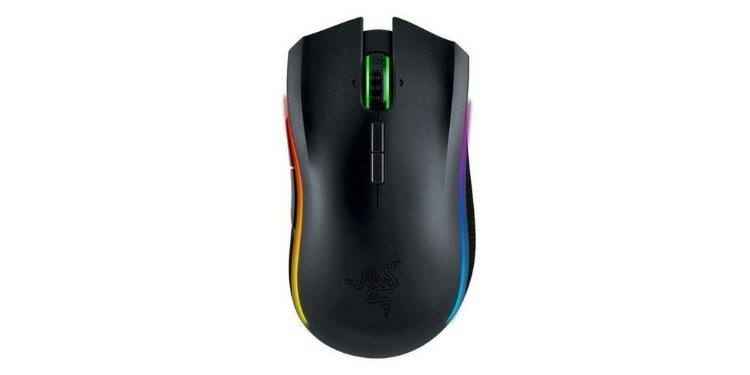 This mouse also features Razer’s chroma enabled lighting which lets you customize the color and look of your mouse. That being said, you might be best off leaving the lights off much of the time as they drain the battery. This brings us to our one real complaint about this mouse: the battery life. Even with the lights off, this rechargeable mouse only gets about 50 hours of use, with this being cut in half if the lights are on. While this isn’t terrible and amounts to three days of heavy use, it puts it near the bottom of the list in this regard. In fact, the only mouse with a worse battery life is the other Razer. Every gamer’s experienced it before in a competitive game. You see someone, shoot them, and then you are the one who dies. You plead with your friends over Discord that you know you got him, but get shot down anyways. Well, if you were using a wireless mouse, there’s a solid chance you were right. If you game on a wireless mouse then you could be suffering from some serious lag. Wireless connections take time to transmit data, for that data to be interpreted, and then be carried out by your computer. This is why Logitech developed its lightspeed wireless technology. The G305 Lightspeed is the best Logitech gaming mouse for those who play lots of competitive games like Rainbow 6, Overwatch, or CSGO. In competitive games like this the difference between victory and defeat is measured in milliseconds, so the G305 wastes none with it’s 1ms of latency. This is even less than most wired mice… at least according to Logitech. In addition to its incredibly low latency, the G305 also has a powerful sensor on it capable of running at up to 12000 DPI. 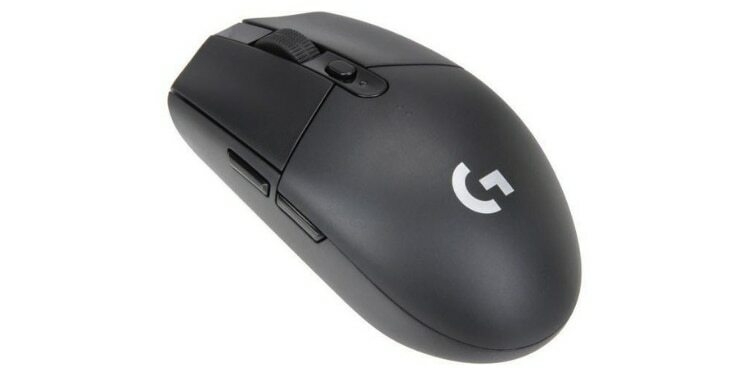 The one negative thing we can remark on about the G305 is the lack of a rechargeable battery. Instead, Logitech opted to power this mouse with a AA battery that lasts for about 250 hours, so expect to be keeping some AAs on hand to keep the gaming going. As we mentioned when looking at the Razer Mamba, that mouse was the more conventional of the two offerings from Razer that we’d be looking at today. The second of the Razer mice we’ve included on our list of top wireless gaming mice is the Razer Naga, a mouse optimized for those who use tons of macros in their games. If you’re a big MMO player then you probably have at least a few macros set up on your keyboard or mouse. If you’ve never heard this term before, a macro is a key or button that is set up to automatically execute a series of commands or button presses. This simplifies and optimizes gameplay in many MMOs and some MOBAs. The Razer Naga comes with an impressive 19 total buttons, 12 of which are laid out on the left side of the mouse in four rows of three. This can give you quick access to tons of spells and abilities and can even make mouse only gameplay a possibility. Aside from the ludicrous amount of buttons, this mouse has a handful of other nice gaming features. While its sensor isn’t as powerful as that of the Mamba, it does have a decent one that runs at a respectable 8200DPI. The Naga also sports Razer Chroma support allowing you to customize the built in RGB lighting. Yet again, the main gripe we have about this mouse is its battery. While it does use a rechargeable battery, it only lasts about 20 hours on a full charge. This earns the Naga the distinction of worst battery life on our list. While some people are looking for the most high performance gaming mouse on the market that will help them take on the competition, others are looking for the most ergonomic mouse on the market that will help them take on repetitive strain injuries and tendon pain. If you’re looking for a good wireless gaming mouse that can help reduce pain from strain injuries or help prevent them then the Logitech MX Vertical is the best mouse for you. This mouse features a unique shape that you hold with a grip more like a handshake than a traditional mouse. This vertical hand position is more natural and eliminates pronation, which is the act of turning your wrists so that your palms are facing toward the floor. This can lead to the bones in your forearm crossing over one another and pinching nerves. The ergonomic features are not the only thing that makes this mouse worth checking out though. The MX Vertical also sports one of the best batteries on our list and can go for up to 4 months on a single full charge. If you’re on the go, then a single minute of charging can offer about 3 hours of use. The MX Vertical starts to falter, however, when it comes to more standard functionality. The sensor used on the MX Vertical features a meager 4000 DPI and runs as low as 400. Also, this mouse only has 4 buttons, making it less than ideal for anyone planning on using any macros. It is also worth noting that the new hand angle certainly takes some getting used to. Expect your gaming performance to be hurt for about a week before you completely adjust to it. Of course, if you’re someone who can’t game at all due to tendon pain, a learning curve is certainly better than nothing. If you’re on the hunt for the best cheap wireless gaming mouse, then look no further than the M652 from Redragon. Redragon is a brand we’ve looked at before in some of our roundups as they have a reputation for making surprisingly solid products at very low prices. While this is the most affordable mouse on our list, it also-- somewhat surprisingly-- sports the best battery life with a jaw-dropping 15 months on a single battery. That being said, it uses a AA battery rather than a rechargeable one so when it dies you’ll be needing to actually replace the battery. The DPI on this mouse is where things start to head downhill, with a maximum setting of only 2400. The DPI can easily be changed with a button on the top, but it also only goes down to 800 meaning you don’t have nearly as big of a DPI range to experiment with compared to any of the other mice on our list. Ultimately, there is no single best mouse. With all the options on the market today, there are enough options to find the perfect one for you (although it is still unreasonably hard to find a good left-handed mouse). To help you find the ideal mouse for your needs amongst all the choices, we’ve put together a short guide that should help you be able to identify the most crucial things to keep an eye on when shopping for a new wireless mouse. Dots per inch, or DPI, is a measurement of how sensitive a mouse is. In literal terms, DPI is a measurement of how many pixels your mouse will move across the screen when the sensor of the mouse is moved 1 inch. This is why higher DPI mice are almost always preferred on very high-resolution monitors, such as 4K monitors, since the mouse has many more pixels to cover when being moved and will appear to move slower across the screen. In gaming, higher DPI makes for faster and more responsive turning. Very high DPI mice are generally more accurate, which is the reason some companies like Razer and Logitech produce mice with sensors well over 10000 DPI. While practically nobody would actually use a mouse with this high of a DPI, these sensors are more precise when turned down than inferior sensors. When it comes to DPI the Razer Mamba is the top dog on our list with its incredible range of 200 to 16000 DPI. Another thing to keep your eye on when shopping for a wireless mouse is the battery life and what kind of battery the mouse uses. Two of the wireless mice on our list actually use standard disposable AA batteries: the Redragon M265 and the Logitech G305 Lightspeed. Granted, both of these mice have an impressive battery life (especially the Redragon), so it’s up to you to determine whether replacing the batteries once a year or recharging more often is better to you. When it comes to rechargeable batteries, performance is all over the place. The MX Master has a 40-day battery life and can charge up for a whole day of use in mere minutes. Even more impressively, the MX Vertical boasts months of use on a single charge. Meanwhile, Razer seemingly gave no damns about you being able to use your mouse for prolonged periods as their Mamba and Naga come in at an anemic 50 and 20 hours respectively. Finally, it can be important to look at what kind of connections the mouse can use. All of the mice on our list come with a USB dongle to communicate with computers. However, some laptops and other devices these days are beginning to abandon traditional USB, so it might be worth keeping an eye out for Bluetooth compatible mice. The two Logitech mice we featured– the MX Master and MX Vertical— are the only Bluetooth compatible mice on this list and can easily switch between devices. That being said, Bluetooth is typically slower and has greater latency than other connections, meaning it isn’t usually preferred for gaming purposes.